Summer has arrived! It is my favorite season of the year because the weather is nicer, the days last longer and people looks happier. These days are perfect to be outside spending time with friends and family, and of course eating and drinking delicious stuff. This season also brings back a lot of memories for me. I grew up in a city where is summer all year long, and I was surrounded by a lot of family and close friends who would always get together for any reason in particular. 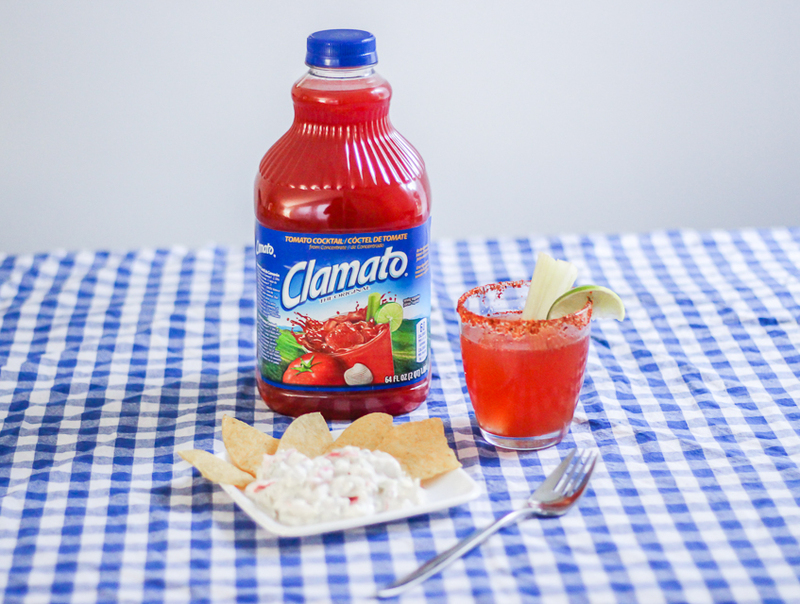 The one drink we would always have in our get togethers were Clamato micheladas. They are my favorite drink, specially when my dad makes them, His are amazing! This spicy and refreshing drink is perfect for those hot summer days. 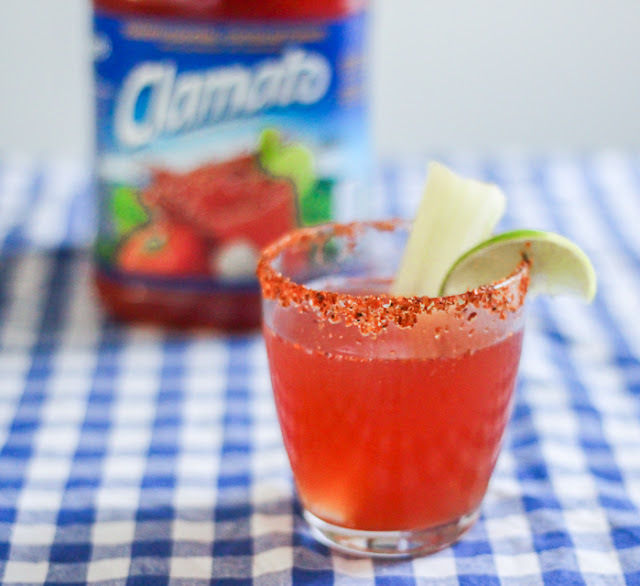 Luckily for you I know my dad's authentic Mexican Clamato michelada recipe, and just because National Michelada's day is around the corner. I'll share it with you. For this recipe you'll need : Salt, lemon, english sauce, tabasco sauce, chilli powder, your favorite beer and of course Clamato Original Flavor. I went to my neighborhood walmart to get my ingredients and I found the Clamato on the Juice Aisle. While I was there I also picked some Seafood and Shrimp salad from their Deli , and called some friends on my way back for an impromptu backyard picnic at my house. 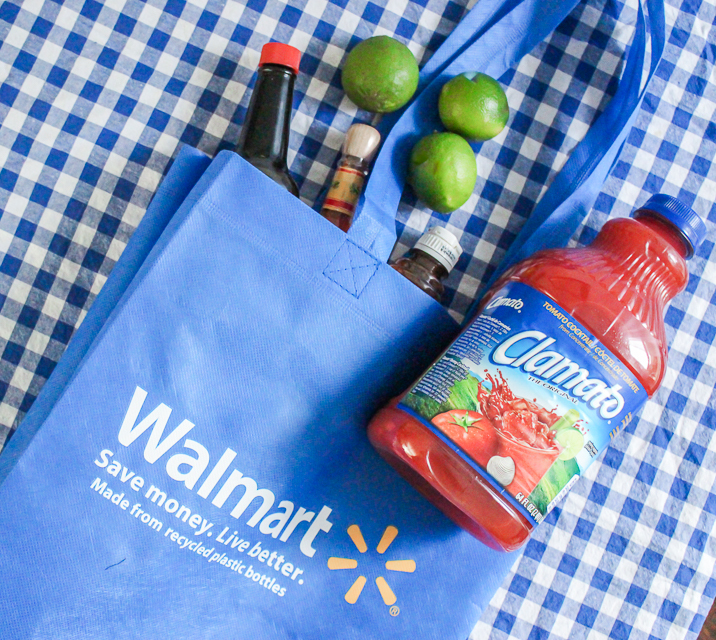 After all, It's summer and National Michelada's day needed to be celebrated! 1. Combine salt and chili powder in a shallow dish. Run a lime wedge along the rim of glass and dip into the salt mixture. 3. Add the juice of two limes,1 tablespoon of english sauce, 1 teaspoon of tabasco sauce ( or a little bit more if you like spicy), and salt to taste. Mix it up. 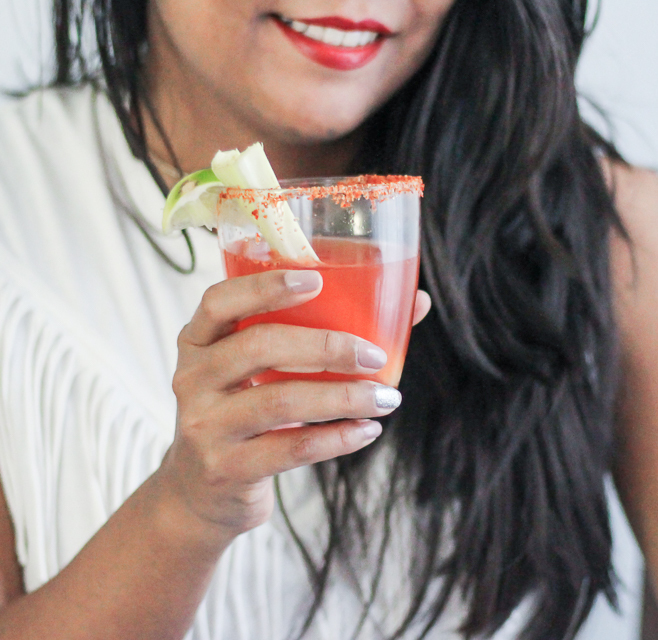 Drinking a refreshing michelada is my favorite way to spice up my summer. Have you tried them before? If not, let me tell you , you're missing out. 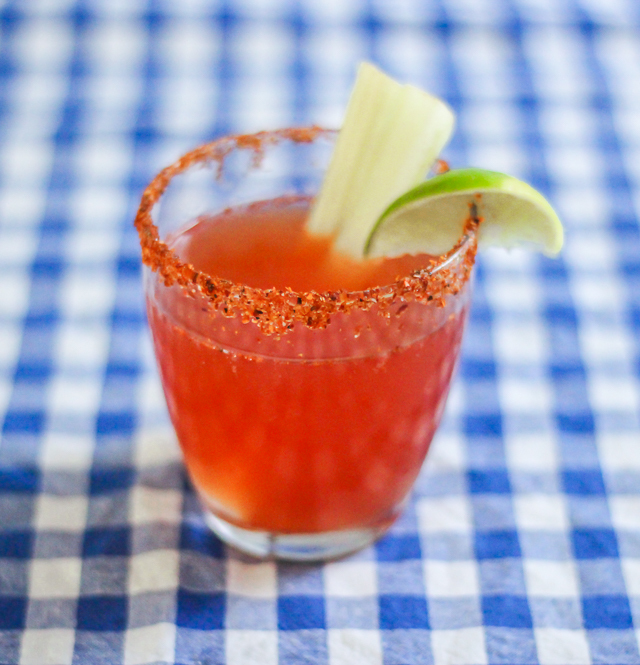 Make sure to visit Mi Michelada match website fore more Michelada recipes and pairings. The only off the shoulder top you need!